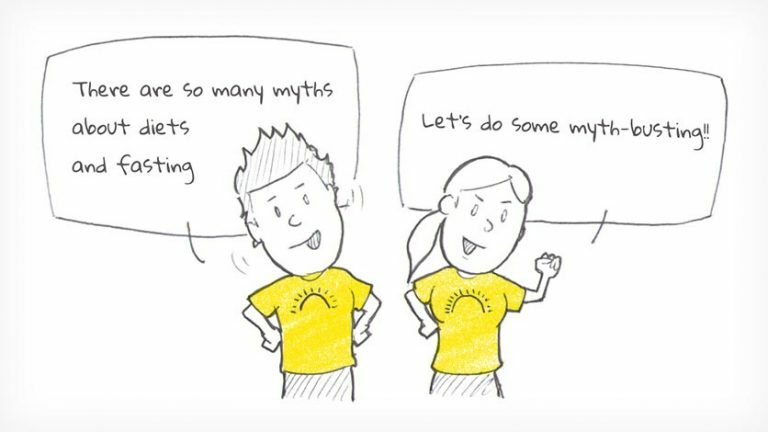 Below we have covered some of the most common myths. Millions of people could live happier and healthier lives if only they knew that these beliefs are myths and not based on the best evidence and science. Many of us love to have a good breakfast, and find it makes us feel great, setting us up for the day. So what’s the myth? Many people believe that eating breakfast prevents obesity and that skipping breakfast regularly will ‘backfire’ and lead to a weight gain. You might hear people say that breakfast ‘kick-starts your metabolism’ for the day, increasing your metabolic rate. The truth is that eating breakfast does not prevent obesity, or enhance weight loss by kick-starting your metabolism. In fact, the calories you consume will inevitably outweigh the effect of an increased metabolic rate. At FastDay we work hard to stay up to date with the latest scientific research, and to make the latest evidence available in an easily-understandable form. Scroll down to the section ‘More information for the scientifically inclined’ for more about the evidence around breakfast eating. What you eat for breakfast is important, of course. Breakfast can often be a meal loaded with carbohydrates, including sugar – and if you are someone who likes to start the day with a meal (nothing wrong with that!) the best advice is probably to focus on eating healthily. Many fasters have no breakfast on a fast day…or use an eating window approach and never eat breakfast at all. You might find that skipping breakfast is a great way to avoid a high carb, high sugar meal. If this works for you, you should carry on! There is no need to be concerned about the myth that skipping breakfast is bad for you or will cause you to gain weight. Need more info? Scroll down to find more detail for the scientifically inclined. We are told that eating less than a certain amount of calories daily will cause the body to enter a state termed ‘starvation mode’ in which it ‘hangs on to fat’. Some people are worried that intermittent fasting may have this effect on them – and may even cause them to gain weight. The myth is based on a misunderstanding of some famous studies into the effect of long term starvation diets on the human body. If a human eats at a ‘starvation’ level of calories for weeks or months on end, the body finds ways of reducing the impact, and a body that has lost weight now needs fewer calories each day. These factors may reduce the impact of a starvation diet but we cannot deny the laws of physics: if you are eating less calories than you are using, you must lose weight. These famous studies are creating extreme conditions and are of no relevance to intermittent fasting, which we recommend should include fasts of no longer than 36 hours with no calorie intake or 3 days of very low calorie intake (below 800 calories). The bottom line is that If you choose to pursue intermittent fasting as a permanent and healthier Way of Eating, you do not need to worry about a mythical ‘starvation mode’. A lot of research has been done on the subject of whether it is better to eat 2–3 meals a day or 6–7 smaller meals. This is a complex area, and in truth the results are mixed, with no clear winner. Some people misunderstand this research, and think that advice to eat little and often means that intermittent fasting must be bad for you. This is a myth! There is a large and growing body of evidence on the benefits of intermittent fasting to our health and its effectiveness as a sustainable and permanent Way of Eating. Learn more about the science of fasting. By contrast, there is no strong evidence that eating more frequently is beneficial nor that skipping meals is detrimental to our health. Some members of our community like to eat little-and-often on the days when they are not fasting, while others prefer a more conventional 2–3 meals per day. The science is not clear yet, but we suspect this will be primarily a question of personal preference. What we do know is that no one should pass up the benefits of fasting as result of a misplaced worry about the possible pluses of eating little-and-often. Since the 1970s and 1980s, governments and doctors have been advising us to eat a low fat diet and to obtain over half our calories from carbohydrates. More recent research has shown the advice to go low fat and high carb to be misguided. 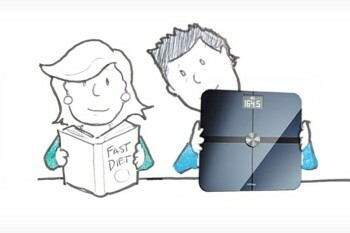 In fact a low fat, high carbohydrate diet is possibly the least effective way of losing weight. It also has worse health effects than many other ways of eating. Even worse, if you have diabetes, pre-diabetes or a predisposition to diabetes this diet advice may be positively harmful for you. (If you are overweight, and particularly if you have a large waistline, you have an increased risk of diabetes. 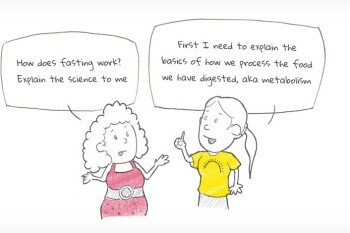 If this is you, take a few minutes to learn more about the health benefits of fasting). We have all been told that eating fat, especially saturated fat, will make you fat. And that eating cholesterol will raise your blood cholesterol. And they will both damage your heart. The latest research has shown that these common beliefs are not true. 1. The studies consistently show that diets that are high in fat but low in carbohydrates lead to much more weight loss than diets that are low in fat but higher in carbs. Fat contains a lot of calories – but the good news is that it tends to reduce the appetite. If you are choosing between high fat and high carb, choose high fat! 2. The real problem occurs when fat is combined with sugar and refined carbohydrates (as in cake, cookies and ice cream). The combination of fat and sugar is calorific and also stimulates our appetites – it is the combination of fat with carbohydrate that is fattening, not the fat itself. 3. Including saturated fat and cholesterol in the diet does not worsen our blood cholesterol levels. In fact, saturated fat tends to increase high density lipoprotein (HDL – the “good” cholesterol) and changes the low density lipoprotein (LDL) from small, dense particles which promote heart disease into large, light LDL particles which are not bad for the heart. By contrast, eating sugar and refined carbohydrates will worsen your cholesterol profile. Trans fats are monounsaturated fats that have been put through a hydrogenation process to lengthen their shelf life of the fats and make them resemble saturated fats in consistency. 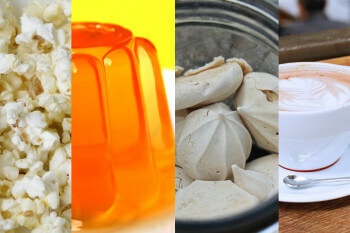 They are mainly found in processed foods and are strongly associated with an increased risk of heart disease. Vegetable oils that are very high in omega-6 fatty acids such as soybean and corn oil, which are also strongly associated with heart disease risk. The bottom line: there is no need to avoid saturated fats in your diet, but it is advisable to limit consumption of refined carbohydrates such as sugar, sugary foods and drinks, white flour, pasta and rice and to avoid trans-fats and oils high in omega-6 fatty acids. I’ve found a food supplement that will change my life! There are so many dietary supplements that are claimed to speed up weight loss as well as improve your health in multiple ways. Green tea, coconut oil, garcinia camboga, chromium, guarana, seaweed tablets, yerbe mate, and many more…is there any truth in their claims? Losing weight can be such a slow and difficult process (unless you have discovered the power of intermittent fasting, that it), it’s hardly surprising that diet supplements claiming to boost weight loss are big business, but few have any real evidence of effectiveness. And even those that have some scientific evidence provide such a tiny improvement in speed of weight loss that it is hardly noticeable outside of a scientific study and is certainly not worth the expense of paying for. We love this chart showing how well-founded the evidence is for a huge range of supplements marketed for a wide variety of health conditions. It is based on work by the Cochrane Collaboration a well-regarded and not-for-profit medical research organisation. 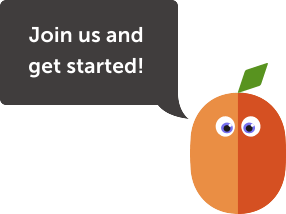 Use it to find the supplements that you or your friends have been talking about – and to identify the many myths and snake oil salesmen that exist. Many supplement companies are just people looking for your money, and won’t bring you any benefit. By all means have a cup of green tea while you think about it! (but even green tea seems to increase the metabolic rate and alertness primarily because it contains caffeine2 and some serious side-effects have been reported). Most of the scientific studies into the value of eating breakfast have had serious flaws in their design and how the results were interpreted by the investigators. There are many reasons why more people who skip breakfast might be overweight than those who do not skip breakfast. For example, what does ‘skipping breakfast’ actually mean? Do the breakfast skippers have a couple of chocolate bars at 10 am at their coffee break? Are the breakfast skippers missing breakfast because they are trying to lose weight? Are the breakfast skippers eating snacks late at night instead of eating a ‘healthy’ breakfast thereby taking in more calories than if they had eaten breakfast and not snacked late at night? Are people who find they don’t want breakfast more prone to obesity because of some other metabolic feature that both promotes obesity but also makes people not want breakfast? The only long-term, carefully controlled trial that randomly assigned people to routinely eat or go without breakfast and then measured the effect on their body weight was published in 1992.6 In that study, moderately obese adults who were habitual breakfast skippers were put on a diet that included eating breakfast every day for 12 weeks. They lost an average of roughly 17 pounds. However, another group of regular breakfast eaters who were instructed to skip breakfast daily for 12 weeks lost an average of nearly 20 pounds. Both diets included an identical amount of calories, and each caused people to lose more weight than a diet in which a person’s typical breakfast habits did not change. Regarding the claims that eating breakfast boosts metabolism, there is a phenomenon, termed ‘diet-induced thermogenesis’ or the ‘thermic effect of food’. This refers to an increase in metabolism after eating which represents the energy needed to digest the meal eaten. It is, with basal metabolic rate and activity induced thermogenesis, one of the three components of daily energy expenditure, albeit the smallest component. Most studies investigating the amount of calories burned after eating compared with the calories in the food eaten have reported that the energy expended due to diet-induced thermogenesis is less than 10% of the energy content of the food ingested.8 Thus, the calories eaten with breakfast will be 10 times greater than the calories burnt from eating it! The myth of starvation mode may have arisen due to misinterpretation of the results of several studies. Perhaps the most commonly quoted study is the ‘Minnesota starvation experiment’ conducted by American doctor, Ancel Keys.9,10 This experiment conducted towards the end of the Second World War aimed to discover how to deal with victims of mass starvation in Europe. Conscientious objectors in the US and the UK who had volunteered for medical research were starved for six months, given about 1600 calories at day, which was about 1600 calories per day less than they needed – at least at the start of the experiment. You will likely have heard it said that to lose one pound (0.45 kg) of fat you need to eat 3500 calories less than you burn. Using this calculation the expected fat loss after 24 weeks of starvation would be around 78 pounds (35.5 kg) of fat. In fact, the average weight loss of the men was less than half of this – 37 pounds (16.8kg). The reason for this is clear: while the men may have needed 3,200 calories, on average, to maintain their weight at the start of the experiment, as they lost weight and their energy need fell and so their weight loss slowed. In addition, their metabolic rate decreased further reducing their energy needs.10 This reduction in energy needs with weight loss has been investigated in many studies, with varying results. Some studies have suggested that the amount of calories needed to maintain a 10% reduction in body weight may be 10–15% less than would be predicted solely due to alterations in body composition and weight. Others have not found this. The bottom line: It is true that after many weeks of calorie restriction your body’s does make certain alterations to reduce your energy needs so that you may not lose weight as quickly as you did at first. In addition, as you lose weight and so are lighter you need less effort to move around and so your exercise and daily activities consume less energy than they did before. 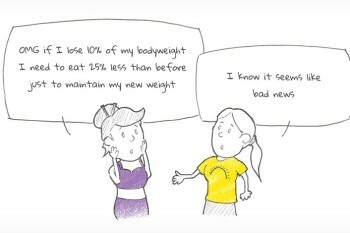 But if you are eating less calories than you are using, you must lose weight. The idea that we need to eat every few hours is a rather strange one. At one time parents used to say to their children “you must not eat between meals or you’ll spoil your appetite”. But sometime in the last 20 years the advice has changed to “eat several small meals a day.” The reasons given for eating frequently seem to vary. Some say it boosts your metabolism, some say it keeps blood sugar stable, some say it prevents over-eating. The origins of this myth of a metabolism boost from frequent eating lie in studies done in the 1960s and 70s in which researchers found that overweight individuals were more likely to eat only one or two meals a day compared with normal weight people.13 However, more recent studies examining meal frequency in more detail that have documented how many calories are consumed and how much energy expended on a regimen of 6–7 meals per day versus 2–3 meals a day have found no difference in energy expenditure but that frequent eating is more likely to result in a higher calorie intake.13 It appears that the early studies were flawed by the way in which the data were collected: when over-weight people were asked how often they ate, they tended to ‘forget’ to mention a lot of eating!14 When this under-reporting of food was taken into account it became clear that frequent eating, particularly snacking, results in greater calorie intake. The question of frequent eating and stabilising blood sugar is a bit more complex. Some studies have indeed found that eating frequently resulted in more stable blood glucose values than eating fewer meals.15 However, the average blood glucose levels of people who eat fewer meals is lower than those who eat frequently.15 As changes in blood glucose are affected principally by the composition of the food eaten, the types of meals and snacks used in these kinds of experiments may influence the results. 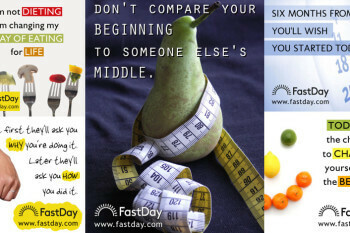 The experiences of our FastDay community, however, have shown repeatedly that fasting reduces appetite. Again, the experimental results may have been affected by the composition of the meals: changes in blood sugar stimulate appetite and high carbohydrate foods tend to be less satiating than high protein or high fat meals. The bottom line: There is no strong evidence that eating more frequently is beneficial nor that skipping meals is detrimental to our health. By contrast, skipping meals (fasting) may be good for you. 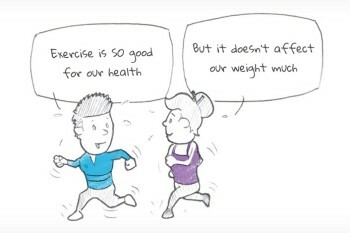 The reasons why this health advice has become the standard message in countries around the world are due to a combination of poorly designed, misinterpreted observational studies, assuming that experiments in animals that have a very different diet and metabolism to humans could be extrapolated to us, and a series of political manoeuvrings by companies who would benefit from such advice. Since the introduction of this advice, the rates of obesity and diabetes have soared. This may be a coincidence but then again, perhaps not. Let’s look at the evidence. Many studies have been conducted on the low fat diet and most have found that its effectiveness for weight loss or health is modest at best. The biggest diet study ever conducted, The Women’s Health Initiative, which involved 48,835 women who were assigned to eat either a low-fat diet, or to continue eating the standard Western diet.16,17,18 The women were followed for 8 years and at the end of the study, there was only a 0.4 kg (1 lb) difference in weight between the two groups and there was no reduction in heart disease or cancer. Looking at the longer term, they found no differences in the effect on weight loss between advice on strict and moderate low carbohydrate diets, low fat diets, high protein diets, Mediterranean diets, diets aimed at achieving a low glycaemic load or diets containing a high percentage of monounsaturated fats. The bottom line: a low fat, high carbohydrate diet is possibly the least effective way of losing weight and does not bring better long-term benefits than any other diet. It may, in fact, be harmful if you have diabetes, pre-diabetes or a predisposition to diabetes. 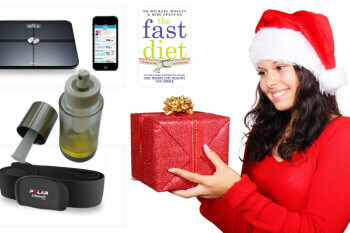 Read about the science of fasting. 1. Astell KJ, Mathai ML, Su XQ. Plant extracts with appetite suppressing properties for body weight control: a systematic review of double blind randomized controlled clinical trials.Complement Ther Med. 2013 Aug;21(4):407-16. doi: 10.1016/j.ctim.2013.05.007. Epub 2013 Jun 24. 2. Jurgens TM, Whelan AM, Killian L, Doucette S, Kirk S, Foy E. Green tea for weight loss and weight maintenance in overweight or obese adults. Cochrane Database Syst Rev. 2012 Dec 12;12:CD008650. doi: 10.1002/14651858.CD008650.pub2. 3. Brown AW, Bohan Brown MM, Allison DB. Belief beyond the evidence: using the proposed effect of breakfast on obesity to show 2 practices that distort scientific evidence. Am J Clin Nutr. 2013 Nov;98(5):1298-308. doi: 10.3945/ajcn.113.064410. Epub 2013 Sep 4. 6. Schlundt DG, Hill JO, Sbrocco T, Pope-Cordle J, Sharp T. The role of breakfast in the treatment of obesity: a randomized clinical trial. Am J Clin Nutr. 1992 Mar;55(3):645-51. 7. Halsey LG, Huber JW, Low T, Ibeawuchi C, Woodruff P, Reeves S. Does consuming breakfast influence activity levels? An experiment into the effect of breakfast consumption on eating habits and energy expenditure. Public Health Nutr. 2012 Feb;15(2):238-45. doi: 10.1017/S136898001100111X. Epub 2011 Jun 23. 8. Westerterp KR. Diet induced thermogenesis. Nutr Metab (Lond). 2004 Aug 18;1(1):5. 9. Keys A. 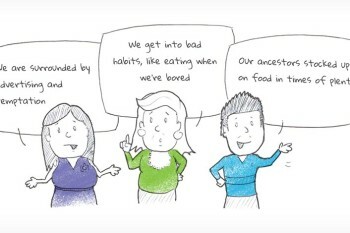 The biology of human starvation. University of Minnesota Press; Minneapolis: 1950. 10. Kalm LM, Semba RD. They starved so that others be better fed: remembering Ancel Keys and the Minnesota experiment. J Nutr. 2005 Jun;135(6):1347-52. 11. Dulloo AG, Jacquet J. Adaptive reduction in basal metabolic rate in response to food deprivation in humans: a role for feedback signals from fat stores. Am J Clin Nutr. 1998 Sep;68(3):599-606. 12. Webber J, Macdonald IA. The cardiovascular, metabolic and hormonal changes accompanying acute starvation in men and women. Br J Nutr. 1994 Mar;71(3):437-47. 13. Zauner C, Schneeweiss B, Kranz A, Madl C, Ratheiser K, Kramer L, Roth E, Schneider B, Lenz K. Resting energy expenditure in short-term starvation is increased as a result of an increase in serum norepinephrine. Am J Clin Nutr. 2000 Jun;71(6):1511-5. 14. McCrory MA, Howarth NC, Roberts SB, Huang TT. Eating frequency and energy regulation in free-living adults consuming self-selected diets. J Nutr. 2011 Jan;141(1):148-53. doi: 10.3945/jn.109.114991. 15. Munsters MJ, Saris WH. Effects of meal frequency on metabolic profiles and substrate partitioning in lean healthy males. PLoS One. 2012;7(6):e38632. doi: 10.1371/journal.pone.0038632. 16. Howard BV, van Horn L, Hsia J et al. Low-fat dietary pattern and risk of cardiovascular disease. JAMA 2006; 295:655–666. doi:10.1001/jama.295.6.655. 17. Howard BV, Manson JE, Stefanick ML, Beresford SA, Frank G, Jones B, Rodabough RJ, Snetselaar L, Thomson C, Tinker L, Vitolins M, Prentice R. Low-fat dietary pattern and weight change over 7 years: the Women’s Health Initiative Dietary Modification Trial. JAMA. 2006 Jan 4;295(1):39-49. 18. Beresford SA, Johnson KC, Ritenbaugh C et al. Low-fat dietary pattern and risk of colorectal cancer: the Women’s Health Initiative Randomized Controlled Dietary Modification Trial. JAMA. 2006 Feb 8;295(6):643-54. 19. SBU – Swedish Council on Health Technology Assessment. Dietary treatment of obesity. 2013. 20. Brehm BJ, Seeley RJ, Daniels SR, D’Alessio DA. A randomized trial comparing a very low carbohydrate diet and a calorie-restricted low fat diet on body weight and cardiovascular risk factors in healthy women.J Clin Endocrinol Metab. 2003 Apr;88(4):1617-23. 21. Yancy WS, Olsen MK, Guyton JR, Bakst RP, Westman EC. A low-carbohydrate, ketogenic diet versus a low-fat diet to treat obesity and hyperlipidemia: a randomized, controlled trial. Ann Intern Med. 2004 May 18;140(10):769-77. 22. Westman EC, Yancy WS, Mavropoulos JC, Marquart M, McDuffie JR. The effect of a low-carbohydrate, ketogenic diet versus a low-glycemic index diet on glycemic control in type 2 diabetes mellitus. Nutrition & Metabolism, 2008. 23. Siri-Tarino PW, Sun Q, Hu FB, Krauss RM. Meta-analysis of prospective cohort studies evaluating the association of saturated fat with cardiovascular disease. Am J Clin Nutr 2010; 91(3):535-46. doi: 10.3945/ajcn.2009.27725. 24. Mente A, Koring L, Shannon HS, Arnand SS. A systematic review of the evidence supporting a causal link between dietary factors and coronary heart disease.Arch Intern Med. 2009 Apr 13;169(7):659-69. doi: 10.1001/archinternmed.2009.38. 25. Dreon DM, Fernstrom HA, Campos H, Blanche P, Williams PT, Krauss RM. Change in dietary saturated fat intake is correlated with change in mass of large low-density-lipoprotein particles in men. Am J Clin Nutr. 1998 May;67(5):828-36.